Private mortgage insurance on conventional loans is required for conventional mortgage loan borrowers who put less than a 20% down payment on their home purchase. There are times where it is better to go with FHA Loans instead of Conventional Loans for borrowers with lower credit scores due to the higher premiums on PMI. All FHA insured mortgage loan borrowers with 30 year fixed rate mortgages have mandatory annual FHA mortgage insurance premium which is set at 0.85%. 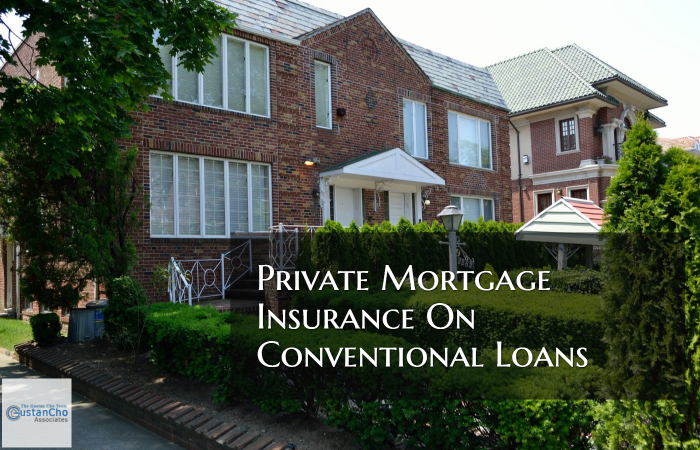 Unlike FHA mortgage insurance premium, there are several private mortgage insurance on conventional loans programs offered by conventional mortgage lenders. Lender Paid Mortgage Insurance, also known as LPMI, is where borrowers do not pay any mortgage insurance. Conventional lenders will cover the annual mortgage insurance in lieu of a higher mortgage rate. The higher interest rates will be determined by the strength of the conventional mortgage loan borrower with regards to their credit scores and debt to income ratios. The monthly mortgage insurance is when the borrower pays monthly mortgage insurance. This private mortgage insurance, again, is based on loan to value, the borrowers credit scores and the borrower’s debt to income ratios. The monthly mortgage insurance premium can be canceled once homeowners have had the property for at least two years and also once the home’s loan to value reaches the 78% loan to value mark. The value is determined by an appraisal.